Microsoft on Tuesday revealed a flexible payment plan to lease its Surface computers, and a number of other back-to-school deals and programs for teachers and students. The company calls the Surface Pro its most versatile laptop. Image: Microsoft. 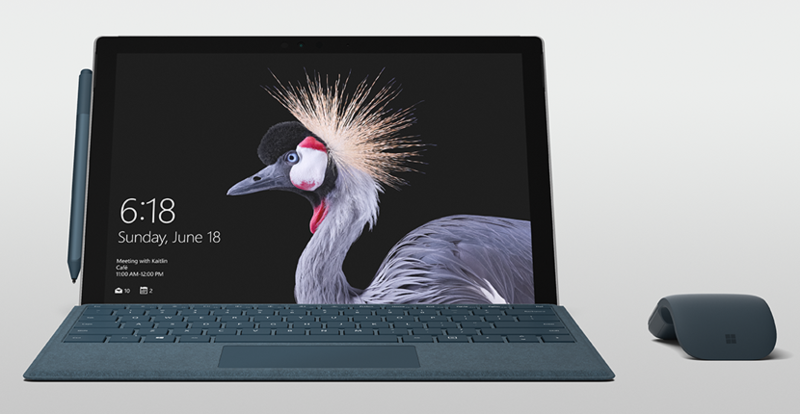 First, the company is giving students a 10 percent discount on Surface machines, which double as tablets or laptops, through the new Surface Plus plan. Surface devices aren’t low-priced, with the Surface Pro priced starting at $799 and running as high as $2,999 for the Surface Studio. A 30-day hassle-free return policy and access to in-store support. Surface Plus is one of two flexible payment plans the company announced this week. More information on those plans is available on Redmond Magazine. In addition, Microsoft recently polled teachers via Twitter and found that 39 percent of educators need help settings up their digital classrooms. In an effort to help, the company has introduced the Back to School LIVE program, a series of online workshops that offer tips and resources focused on getting the classroom ready. Festivities kick off with a live Twitter chat using the hashtag #MSFTEduChat on Aug. 15 at 10 a.m. PDT and again at 4 p.m. PDT. Learning experiences with Minecraft: Education Edition, which is available for a free trial. Lastly, Microsoft has rounded up deals on several Windows 10 PCs, like the Acer Swift 1 (starting at $329) and the ASUS Q Series notebooks and desktops (with up to $125 in savings). Individuals can also save a few hundred dollars on the HTC Vive when bundled with select PCs. The full list of deals can be found on the Microsoft blog.